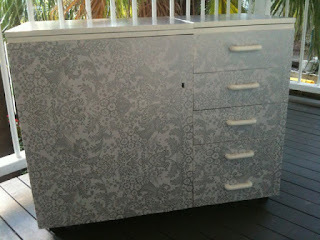 Here is another clever customer creation from Cherise using our outdoor fabric. 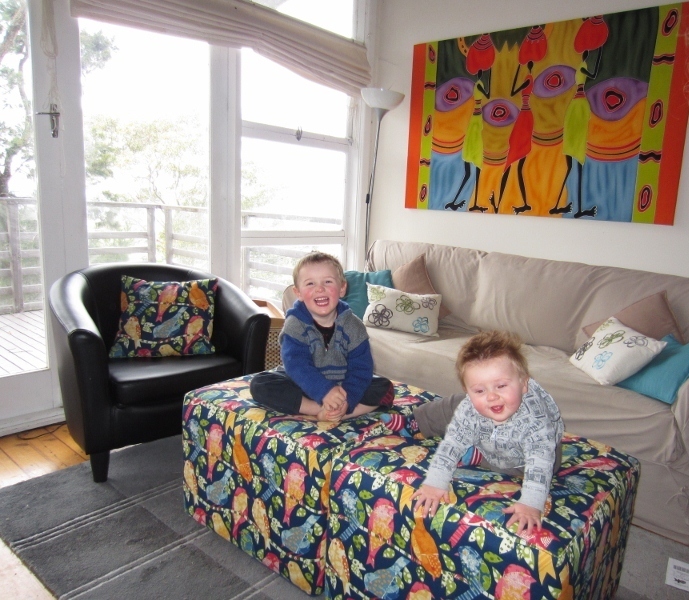 Cherise used the hardy Ash Hill birds in navy fabric on her ottomans to ensure they stand up to the test of time time with her two gorgeous boys. 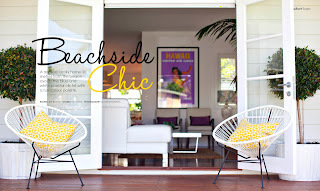 Congratulations Cherise you have received a $10 voucher to use in our online store. 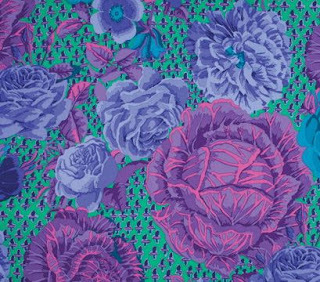 If you have made something using our fabrics please send it to us via email. Also just a reminder our TAKE ANOTHER 30% OFF CLEARANCE SECTION SALE is on this weekend only you must use coupon code thank30 before checking out to receive your additional 30% off. Feathers and Roses. 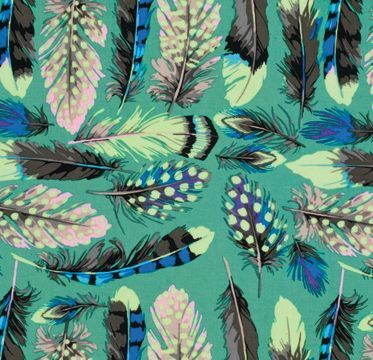 Yep, that's the latest trends here at Fabric Traders. This week we are unpacking more new arrivals. 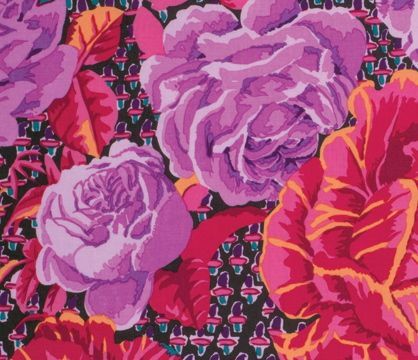 We have in stock the latest from Kaffe Fassett and Martha Negley. 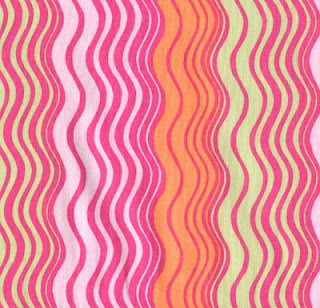 These in demand designer fabrics are very popular and usually sell quickly. I am in love with them but Jody is on the fence. We are calling them half half's! 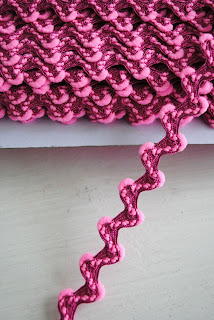 Half Ric Rac half Pom Pom. 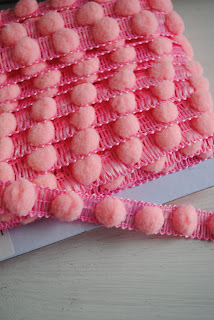 Half Braid half Pom Pom! All new and available now online. 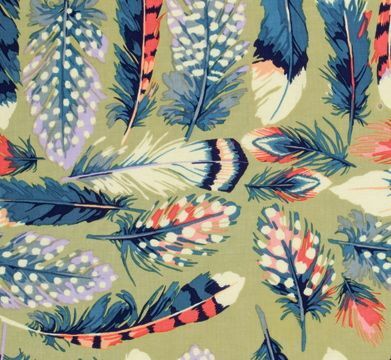 All $1.99/m. We continue to bring the latest notations at the best prices to you. I am so excited I just picked up my chair from the upholsterer. 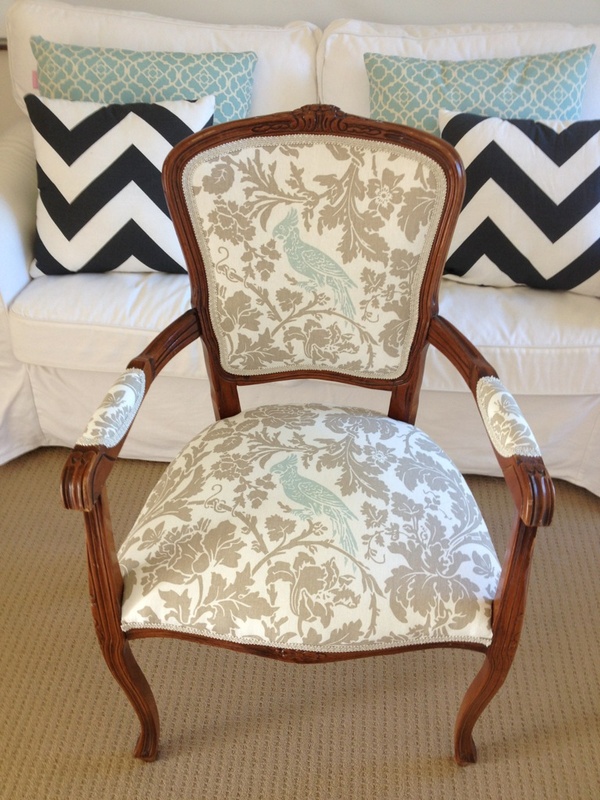 I purchased this gorgeous little chair on ebay and it needed some life, new springs and some new fabric. I just love it ! I covered it in cockatoo beige and duck egg blue fabric! 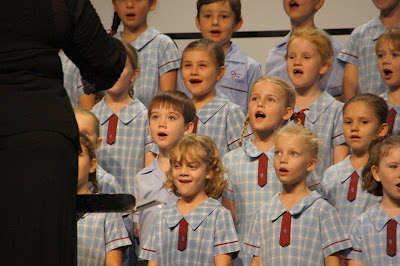 Here's my daughter singing in her annual school choir gala dinner. Promised myself not to get upset but so proud of her. Yep, a little tear. Can you tell which one she is? She is the one with her mouth wide open, one front tooth missing and her collar not ironed down properly. Thank goodness the little girl in front also had the same dilemma! Here is another clever customer creation from Jacqueline using our oilcloth fabric. Talented Jacqueline had an old horn sewing cabinet from her late grandmother who taught her how to sew which is gorgeous! 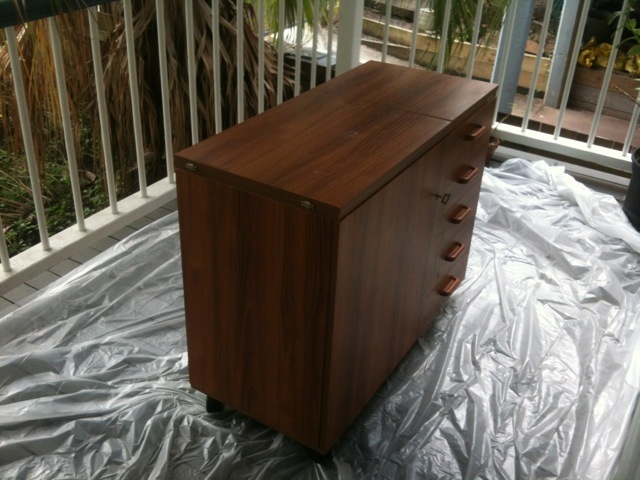 The cabinet was close to 20 years old and it was flaking and chipped and also housed a fabulous 1950's Singer Sewing Machine. 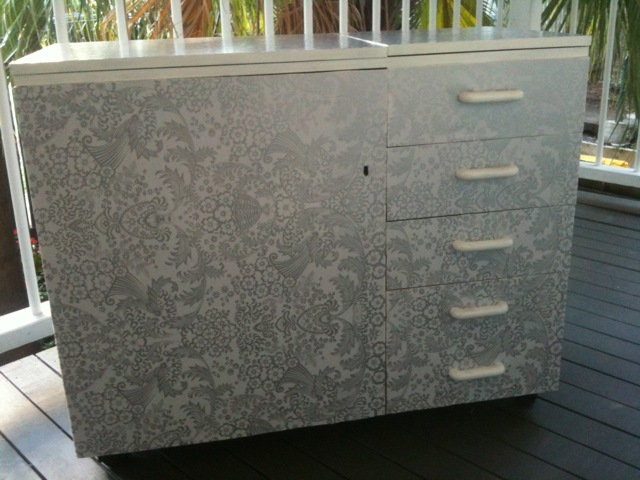 Jacqueline cleverly painted and glued the silver paradise oilcloth fabric to the cabinet and voila! Congratulations Jacqueline have received a $10 voucher to use in our online store. 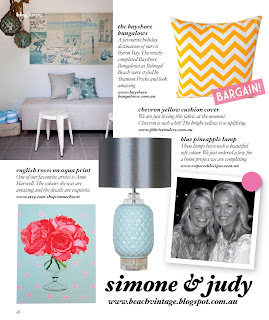 We are loving all things orange, pink and yellow this week. 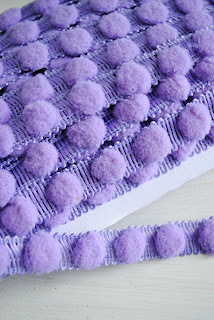 And Amy Butler has just arrived and quenched our thirst for these colours! 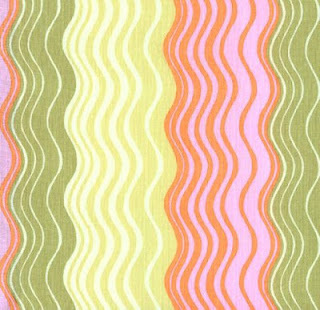 Take a look at these new cotton arrivals appropriately named "Ripple". Already dreaming of teaming them with some Tangerine Pom Pom. Could this be our favourite customer creation yet? 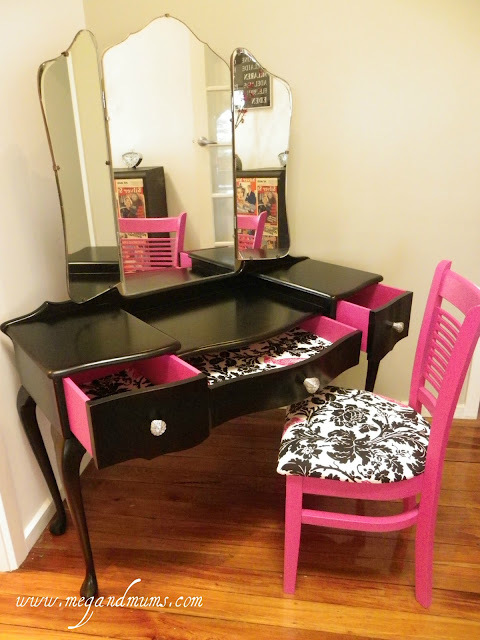 Take a look at what Megan did with a vintage dresser and our Cockatoo in Lipstick Pink fabric. Well done Megan. You will receive a $10 voucher to use online. 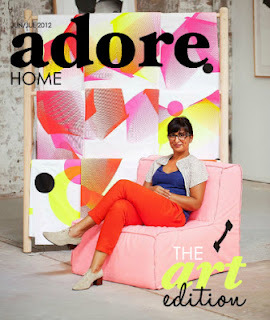 We were thrilled to be asked to appear in this months edition of the beautiful Adore Home Magazine. 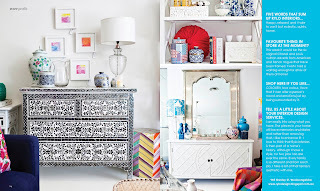 The article featured is about things we are loving online at the moment. Adore is a stunning magazine with heaps of great home and decorating ideas inside, we have included pics of just a few of the gorgeous pages. Please click on the link to read the magazine in full. Thanks so much Loni, we love your mag and it was very kind of you to feature us! I attended a function at Parliament House last week and it was a little chilly out. I thought I would take a scarf, but typical me I had to make it stand out from the crowd! 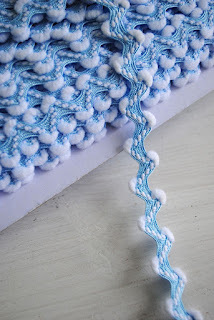 I simply sewed on some giant white Pom Pom to the edge of my floral scarf. Yes, there were a few scarfs that day but I think mine was the best! 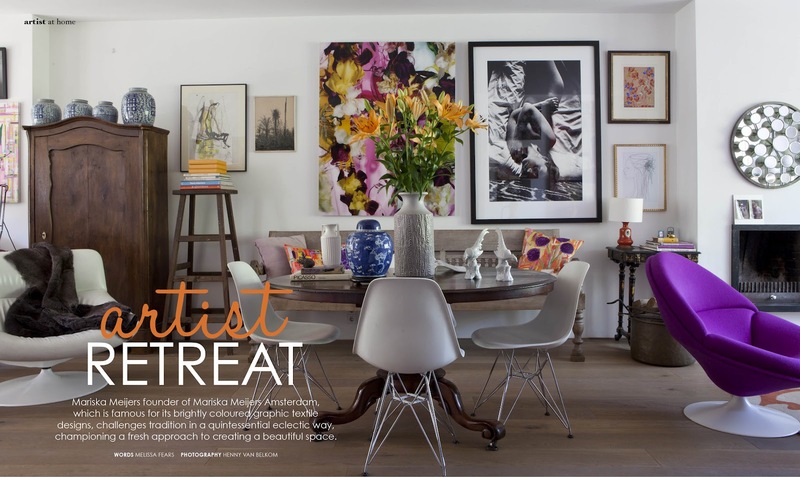 Today we feature Michelle White from Michelle White Interiors. Michelle started her interior design business recently on the beautiful Sunshine Coast at Peregian Beach. 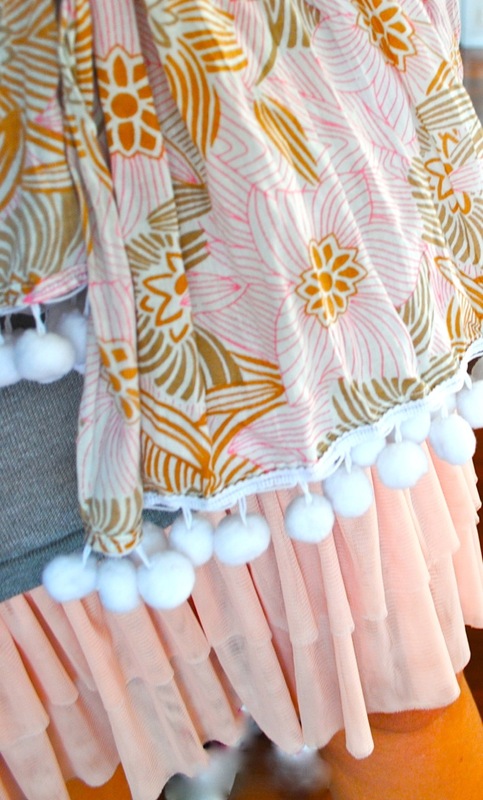 She contacted us a few months ago and purchased some fabric for a few of her showcase pieces. A beautiful cane Peacock chair covered with Chevron in Green. And a stunning wing back chair covered in Chevron Ebony. 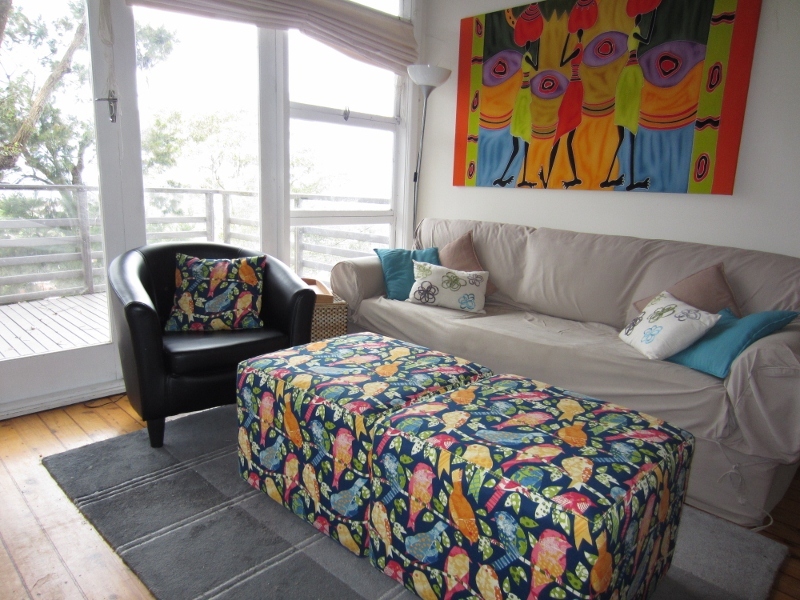 You can contact Michelle on email HERE or phone her on 0407161667.